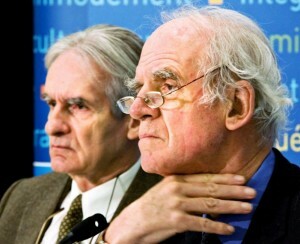 In 2008, Taylor, along with sociologist Gérard Bouchard, signed a report that called for a ban on religious symbols worn by public servants in positions of coercive authority — police, judges and prison guards. Opposition parties quickly demanded the ban extend to teachers and daycare workers, “something we had not at all envisioned,” Taylor wrote in an open letter published Tuesday in La Presse. He cited the controversy over the Parti Québécois’ 2013 Charter of Quebec Values as having created the “stigmatization” of certain sectors of Quebec society, particularly the province’s Muslim community, and blamed the controversy for attacks ranging from hateful comments to physical assault on Muslims wearing a veil. Taylor said times have changed and he no longer endorses the recommendation. Admitting that is the first step. But it will take more than an open letter to undo the damage. People still clinging to the idea that we need to find a “consensus” misunderstand that, in a democracy, minorities should never be compelled to conform to the tyranny of a majority. Don’t like hijabs, kippahs or turbans? Fine, nobody’s forcing you to wear them. You are free to wear what you want and believe what you want. But stop telling other people what they can wear or what they can believe. Bill 62 is bad legislation and must be scrapped.